Mint muddled in agave, cold milk, double shot of espresso, served over ice (think coffee mojito). Italian prickly pear soda with a double shot of espresso served over ice. Emerald Tips Green, Masala Chai, Egyptian Chamomile, Golden Needles Black. Blood Orange and Hibiscus tea sweetened with agave (optional). House-made avocado spread, greens, cherry tomatoes, feta cheese, olive oil drizzled on locally sourced sourdough. We offer breakfast sandwiches on english muffins including Pesto Provalone, Bacon, Turkey Sausage and Chorizo. Cactus Coffee is built for conversations over great coffee. Cactus Coffee opened in March 2017 in historic downtown La Verne, CA. Since then, we have been serving traditional coffee beverages, as well as our signature specialty drinks. We are independently owned and operated. Our roaster is Compelling Coffee in Los Angeles, CA. 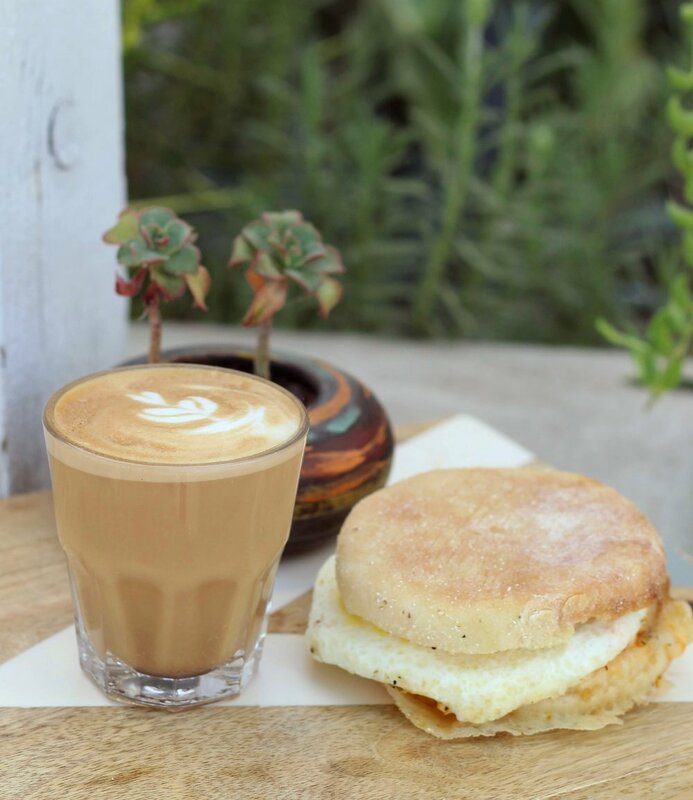 Cactus Coffee is an independently owned and operated coffee shop in downtown La Verne. I'm the owner, Jeremy! I grew up in La Verne, and consider it my home. I have always felt that La Verne deserved a community hub focused on bringing people together. I am so grateful to my staff and the community for how they have made our shop a success. It's an amazing feeling to get to do something I love for work every day. Next time you come in, say hello!